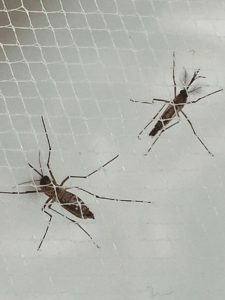 It seems like everywhere I turn I see something about ZIKA. The Z virus. I keep waiting to see the news story that the first Zika victim has risen from the grave and started to eat people. Its a weird disease that just came out of nowhere and is basically unstoppable. This is concerning to many. When I see it speckled on buses and the sides of buildings where we are a 12 hour drive away from the nearest site of Zika infection in America. Its clear this virus is a frightening one that is unstoppable. This is our test run. Make no mistake about it. This is our practice pandemic. The Zika virus is a practice pandemic and I can guarantee you the next one will be much more deadly. I hope that you see the Zika virus for what it is. 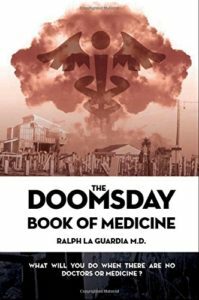 On the broadcast listed below we have Dr. Ralph La Guardia the author of The Doomsday Book of Medicine and past guest on the I AM Liberty Show. He weighs in on Zika from an experts point of view. This is a very important show. I also get his thoughts on the practice pandemic that we are dealing with. The good Dr. has some great information about this and other fast spreading diseases all over the world. What can we do to be prepared for such a situation. Ralph is a tremendous professional who put together one of the best books on health and medicine in print. This is my opinion. The book is so much more than just a Doomsday book. It is a 3 inch thick book of answers to health problems. Don’t miss out on this episode of I AM Liberty. Listen to this broadcast or download “The Practice Pandemic” in player below! Previous: Previous post: Life In The Remote Wilderness!